I snapped pictures this morning. The Hubs was off to his first "real" day of nursing school. 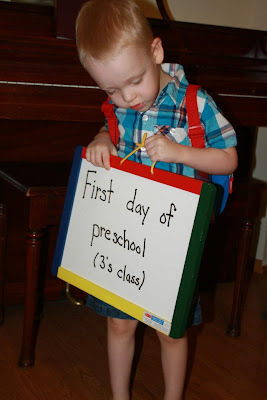 Our three year old was starting preschool for the first time. I found myself fighting off the urge to snap a couple of times when things weren't going as planned. Those Pinterest people must have really cooperative children. And fancy homes. And well manicured yards. And nice handwriting. But mostly cooperative children. 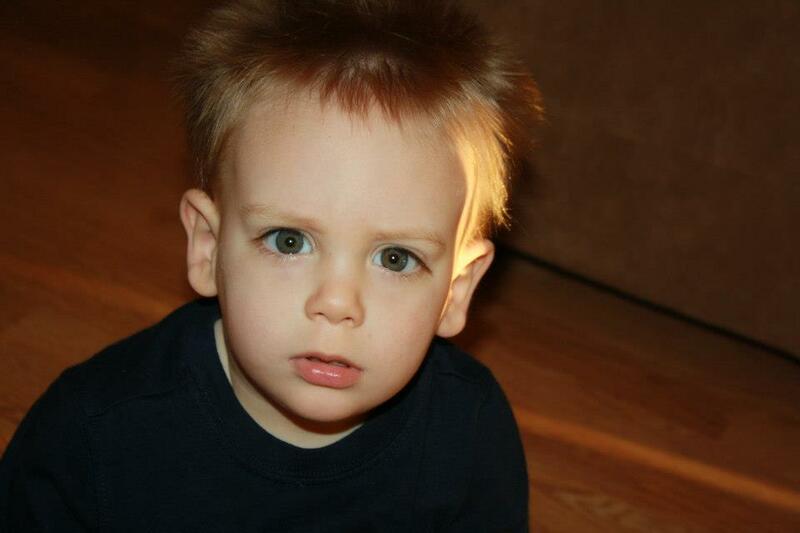 Bubby was not very cooperative this morning for pictures nor was my home. We arrived a few minutes early, and Bubby cried. He wasn't scared, he was angry because I made us wait in the car while watched four other families go in ahead of us. He did not like that. My camera acted up, and my child refused to stand in front of his school or his classroom door. I put my camera away, and I focused on making this morning go as smoothly as possible. Timid at first, my firstborn kissed me goodbye without any drama. Not a tear. I got a lump in my throat walking down the hallway without him. But my twenty-month old was on my hip, and I just wanted to get him back in the car. So there were no tears for me either. Bugaboo and I were off to the park for some official one-on-one time. However, after a few pushes on the swing, baby brother looked over at the empty swing next to him, and kept saying, "Bubba. Bubba? Bubba!" Then this sweet boy realized he had lost his partner in crime, and he cried. We drove back to preschool to wait. 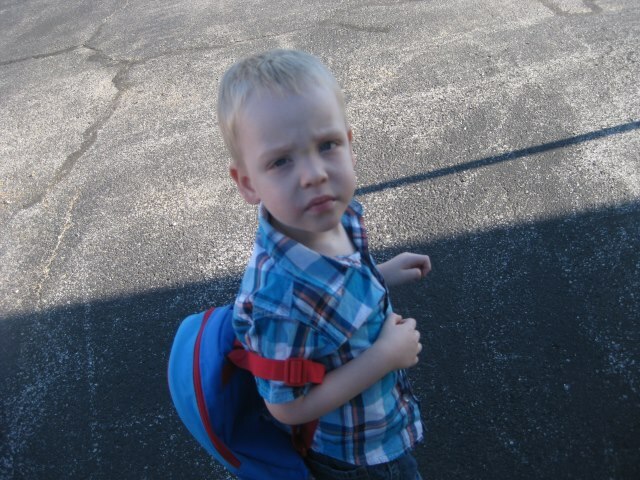 Bubby walked out of his classroom this morning with his snack smeared over his face and sand in his shoes. 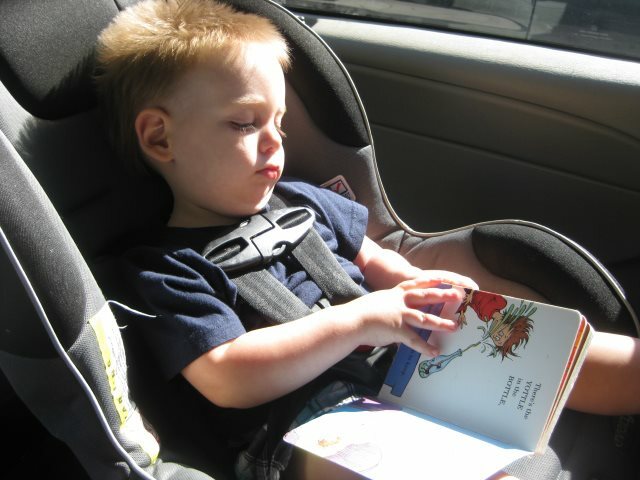 He sang and retold a story on the ride home. A successful first day, I declared. The rest of our Monday was business as usual. Library visits. Physical therapy. Poop on the floor during what should be naptime. Endless laundry. Playing in the backyard. Three minutes on the naughty rug. And again. Making leftovers stretch into a new recipe. Bathtime overflowing into exhaustion. I find myself praying each day, "God, please provide..." I fill in the blanks with things like: Peace. Direction. Resources. Wisdom. Joy. Finances. Hope. Strength. Endurance. Patience. Faith. And He does. I am learning the concept of daily bread. Manna in the desert. Each day is enough to keep me thankful and enough to keep me watchful. I love the same prayers! Your son did a great job recounting the events of school. JDaniel seemed to have forgotten them on the way to the car. 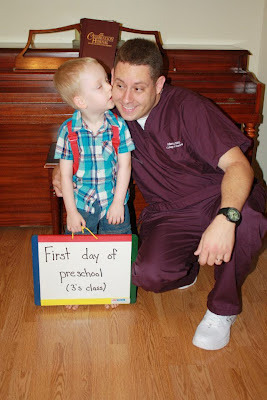 Thank you so much for linking up to my Back to School Traditions post.